This 3 aperture frame and print is a beautiful memorial piece to remember the loss of a loved one in your life. It features two prints on either side of the frame, with a space in the middle aperture for a photograph of your own. 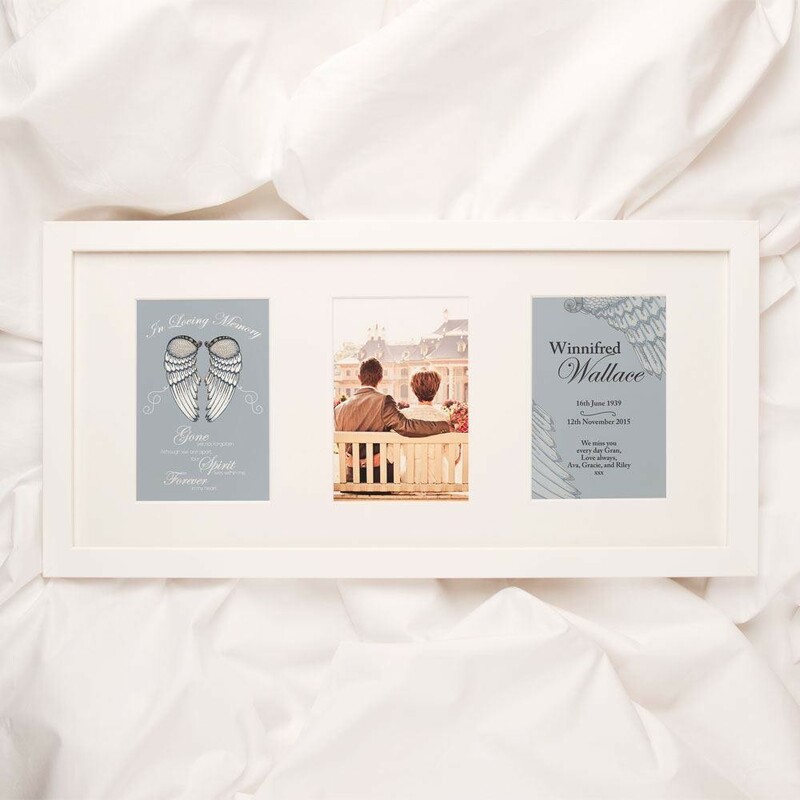 The classic and thoughtful design features a poem on the left hand side of the frame, with your loved one's details on the right. 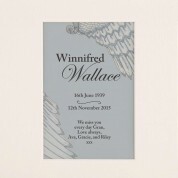 The In Loving Memory poem has an originally hand drawn set of angel wings above it, and is printed in a delicate white text. 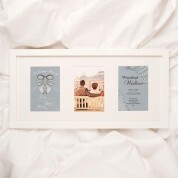 The right hand side of the frame features a close up of the wings, alongside your loved one's details. Their name and special date(s) are featured above a personal message of your choice. The poem in the frame reads: Gone yet not forgotten, although we are apart. Your spirit lives within me. Forever in my heart. Dimensions of frame: 53cm x 26.5cm x 2.3cm Weight of frame: approx 760g.